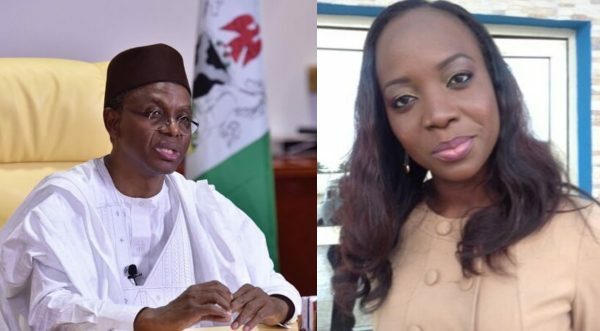 Kaduna State Governor, Mallam Nasir El-Rufai who appeared as a guest on a Channels TV show anchored by Maupe Ogun, reacted to a comment about Shiites leader Ibrahim Zakzaky credited to him. Metaphor Sir. Take a minutes to always Google! Recall that El-Rufai had said that his problem with the El-Zakzaky’s movement, was their refusal to acknowledge the state government, the federal government, and even Nigeria’s constitution. The post [VIDEO] “You Need More Lessons In English Language” -El-Rufai Tells Channels TV’s Maupe appeared first on LATEST NIGERIAN NEWS BREAKING HEADLINES NEWSPAPERS.